Which wireless carrier provides the best buying experience? J.D. Power asked thousands of U.S. consumers about their recent purchase experiences with wireless carriers, and a prepaid carrier ranked higher than each of the 'Big Four'. There are a lot of reasons to choose one wireless carrier over another, including price, network quality, and free extras, such as T-Mobile's Binge On video streaming service. But one factor you may not have considered is the quality of service carriers deliver when customers buy new phones or try to find the best service plans. J.D. Power tracks consumer satisfaction across dozens of industries, and it surveyed nearly 7,500 people who bought a phone from a major carrier this year. The study queried consumers who purchased a phone from a wireless carrier — in person, over the phone or on the Web — and measured satisfaction in six areas: store sales representatives; websites; offerings and promotions; phone sales representatives; store facilities; and cost of service. AT&T scored highest, while Sprint, the smallest major U.S. carrier with the weakest network, came in last. AT&T scored an 845 on a scale of 1,000, followed by T-Mobile at 839, Verizon Wireless with 824, and Sprint at 804. 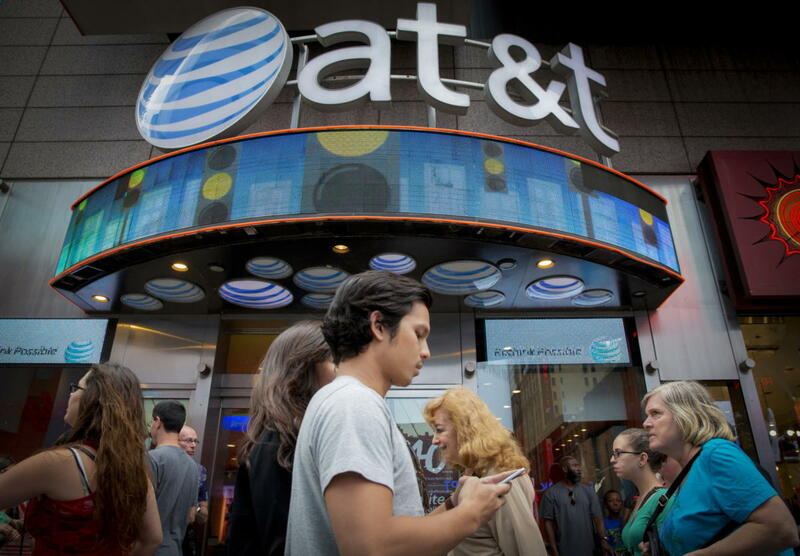 "An area of AT&T's strength was how well its in-store reps are rated," says Kirk Parsons a J.D. Power senior director. Sprint, on the other hand, scored very low in that area, Parsons says. The survey also asked a separate group of about 2,800 people who recently purchased a phone from a prepaid carrier about their experiences. Consumer Cellular blew away the competition, and it actually scored significantly higher than AT&T. More specifically, Consumer Cellular scored an 899 out of 1,000. It's closest competitor in the prepaid market was Cricket, an AT&T subsidiary, which scored 819. Consumer Cellular excelled across the board, particularly in the quality of its offerings and on price, according to Parsons. And in a separate 2015 Consumer Reports customer satisfaction survey of 90,000 wireless subscribers, Consumer Cellular also ranked No. 1. The J.D. Power survey focused on customers' retail experiences, but it also considered customer experience on the Web and on the phone. Ideally, customers should have similar experiences and find the same answers to their questions regardless of the channels they use, Parson says. And it's key for carriers to have well trained, knowledgeable sales people in stores who can explain new technologies and walk customers through complex wireless plans, according to Parsons.